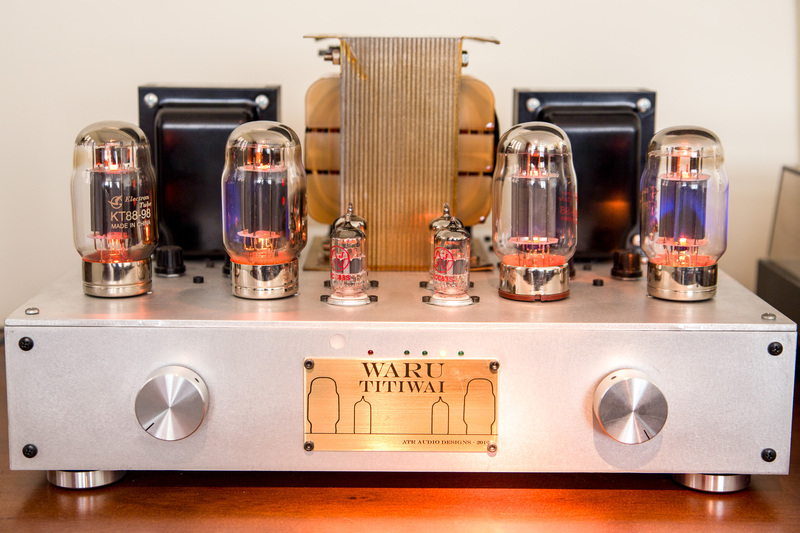 This amp was the grand-daddy – the first build for ATRAD-Audio. It remains under our ownership as a daily driver. The aesthetics of this one are such that only a mother could love it, but the point was to build something as a learning exercise. 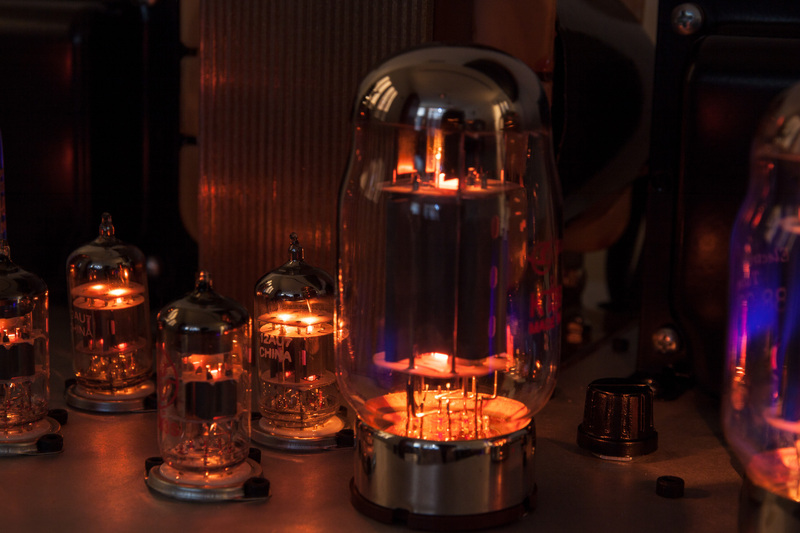 Everything about this amplifier was designed and built from the ground up. This unit was built with some concessions to convenience. 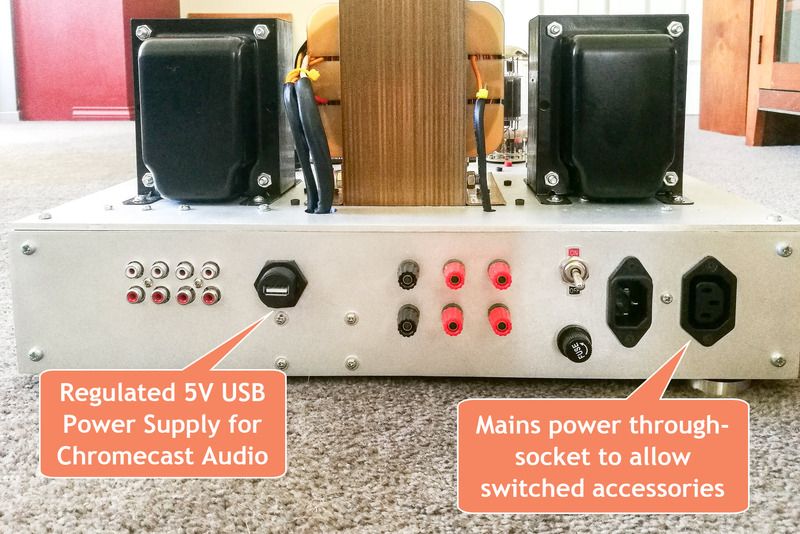 A through-power port, to allow connected accessories to switch on with the main amplifier, in this case a separate phono pre-amp, and a USB power port with a separate regulated supply, to power a Chromecast Audio. Glad you asked! Right from the initial listening tests, we were amazed at the clean, precise and immensely powerful sound from this machine. It replaced a Sony integrated amp of the same power rating, and everything about this one just sounded better. In the bass register the extension, power and control made the Sony look like a weakling. The clarity, warmth and imaging of the sound invites long listening sessions without fatigue. 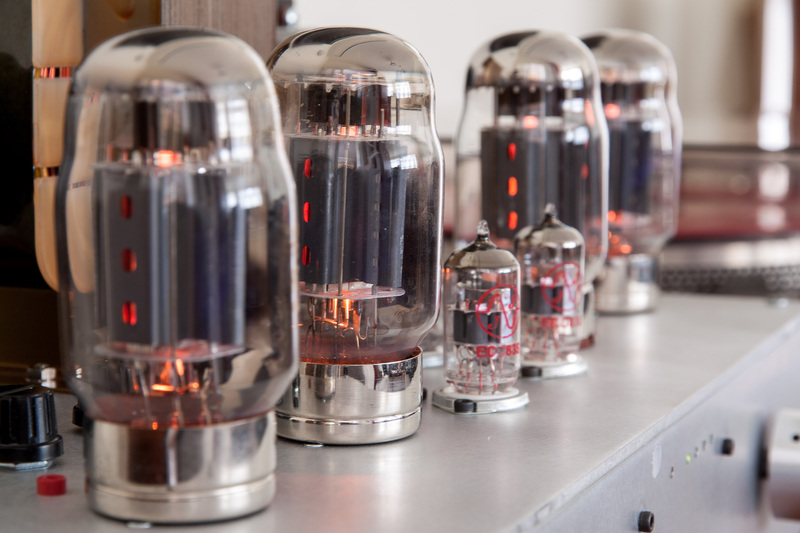 For potential customers, wanting to get a flavour of the sound available from these all-valve amplifiers, this is a hard one to beat. Just don’t look too hard at it. Eight because there are 8 valves on it, Glow-worms because the valves glow.